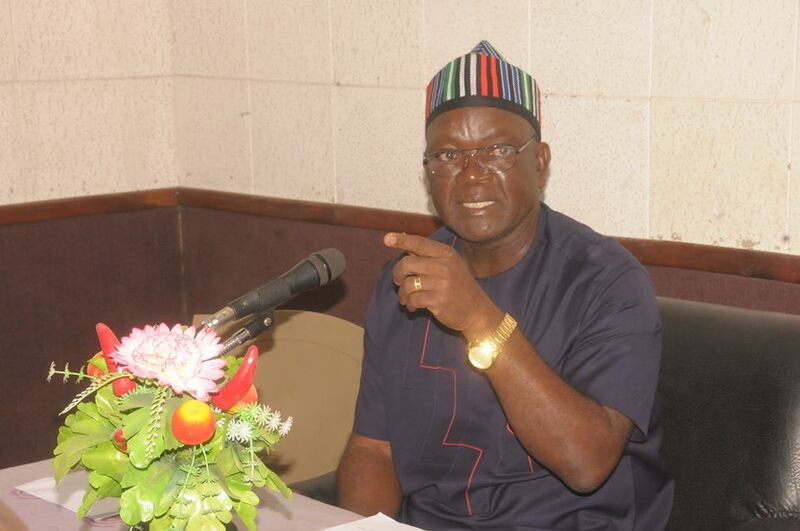 A group known as the Benue Rescuers’ Vanguard (BRV) has accused Governor Samuel Ortom of Benue State and former Senate President, Iyorchia Ayu, of twisting the fact about the spate of insecurity in the state with the intent to instigate the Benue people against the leader of the All Progressives Congress (APC) in the state, Sen. George Akume. In a statement signed by its convener, Benjamin Iferkor and made available to Daily Sun, the group accused both Ortom and Ayu of deliberately twisting facts on what Sen. Akume told journalists at the Aso Rock Villa concerning insecurity in the state with luciferous intentions of instigating the Benue masses against him. Iferkor, in the statement, maintained that Akume had since the beginning of the crises in the Benue valley around 2010, being circumspect in speaking against the herdsmen organised invasion and pogrom in Benue State and Middle Belt as a whole. “He (Akume) has never denied that the herdsmen, wherever they come from were responsible for the killings in the state. He recalled that in January of this year, Nigeria Army arrested not fewer than nine heavily armed young men at the Benue border with Taraba who confessed that they were state government trained members of Livestock Guards, and that they were on the payroll of the state government. “May we know from Samuel Ortom media handlers and Ayu if it was his estwhile benefactor and now avowed enemy, George Akume that had asked them to make such confessions? “Lest we forget, when two Catholic priests of Makurdi Diocese and sixteen other parishioners were brutally massacred at Mbalom in Gwer-East, were members of the Ortom created militia, code named Livestock Guards members not picked as perpetrators and accomplices? “Can Ortom now deny that members of his guards were involved in that heinous crime who have already been charged to court and are in Prison awaiting trial? “Was it not same Ortom, who once accused his predicessor, Gabriel Torwua Suswam of complicity in the killings in the state? May we know what has changed? How about the complicity of his cousin, a former spokesperson of the dreaded Boko Haram, Aliyu Tashaku whom he made head of Livestock Guards? “Someone should remind Ortom that preoccupying himself with twisting facts concerning insecurity in the state and hyping same with accusing fingers on his estwhile benefactors which has become the order of his government will not help him,” Ifekor stated. I'll reconcile aggrieved APC members, says Bauchi gov.